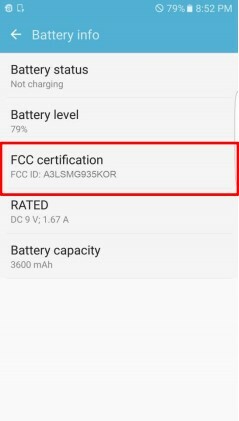 After renowned Russian blogger Eldar Murtazin mentioned that the upcoming Galaxy S7 would last two days on a single charge, details about the battery have surfaced today. According to sources, a leaked listing from the FCC reveals that the upcoming Samsung Galaxy S7 edge would sport a massive 3600 mAh battery. This means that Samsung is planning on adding an additional 1000 mAh this year to fix the constant battery drainage problems reported by customers. Also this would essentially confirm the 17 hours playback capabilities at full brightness as suggested by Eldar. Obviously, given that Samsung is adding an additional 1000 mAh, we shouldn’t be surprised if the Samsung Galaxy S7 edge is slightly bulkier to make room for the additional battery. Further, if the Galaxy S7 edge has a 3600 mAh battery, we can expect the Galaxy S7 to sport at least a 3000 mAh battery, which means we can expect longer battery lives from both the flagships this year.